Is the Stock Market Really Overvalued? All we have been hearing since 2011 is how the stock market is going to crash and then there will be hyperinflation and all sorts of strange relationships that never materialize. They simply focus on the level of the stock market in nominal terms without adjusting it for inflation or showing how it has performed relative to the rest of the economy. Here is a chart of the stock market expressed as the total value of shares traded annually as a percent of GDP. Sorry, this illustrates that the retail market is not in crash mode just yet and it is still nowhere near the overbought levels of 2007. 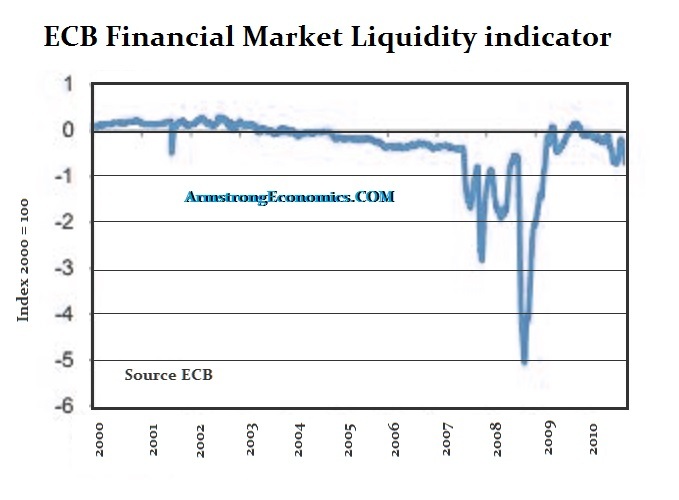 This chart also reflects the crisis we have in liquidity. 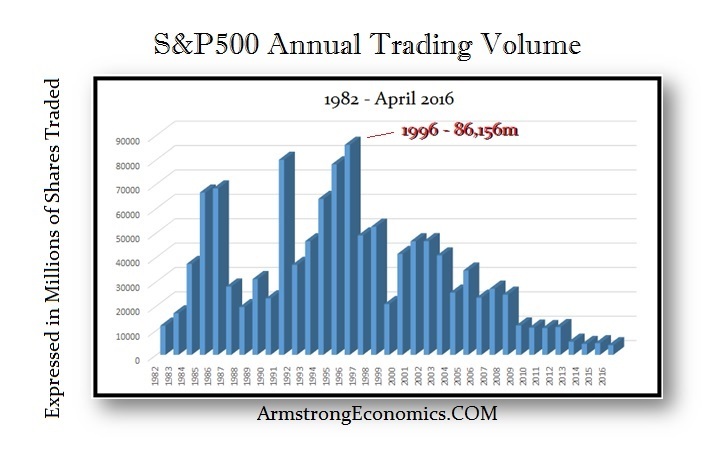 The more government tries to also regulate banks, they have been withdrawing from proprietary trading and we find the trading volume has been shrinking. Honestly, the bid ask spread can narrow and let a panic start and that will quickly vanish as market-makers withdraw. There is far less depth to the markets today than before back in 2007. A return on investment also means nothing with respect to liquidity. So as long as we have analysts relying upon government statistics without thinking about their construction, this is really the blind trying to lead the blind. What a joke!